I don’t know about you, but every time I hear this commercial, I do ‘get happy.’ It’s all in that cheery disposition, which comes along with the voice singing her blues away. Amma Whatt is a singer/songwriter/producer/everythinger Brooklyn cool chick. The lady is a bad mamma jamma and very accomplished in her own right. 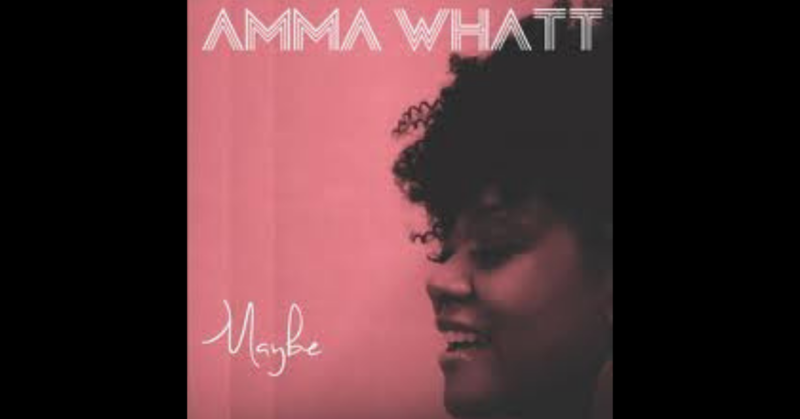 Amma has graced the 2008 Academy Awards stage performing the nominated song “Raise It Up” from the film August Rush, made it as a finalist during Hollywood Week on the 5th season of American Idol, continues to produce and write for herself, other artists and commercials, and toured internationally as a supporting vocalist for the likes of Ki-Ki Sheard, Melba Moore, and Shirley Murdock to name a few. All of those accomplishments and more are simply the tip of the iceberg for Amma. Amma gives you a serving of a little bit of everything – hip hop, jazz, soul – it’s all very present. Like the HomeGoods commercial, Amma’s spirit and disposition seep into her songs and assault your senses in the coolest way ever. I would say that Amma’s aim is to be vibrant, fun, and leave you wanting for more. Let’s not forget, this is only a 6 track EP. Just imagine what else she has to share with us. Believe when I say, I cannot wait to hear more. Keep your ears peeled this year for her new full-length album, I have a feeling we will be in for something special.